An osseous apposition in the interosseal membrane arising from the periosteum of the proximal tibial diaphysis. Fabella (accessory bone) projects into lateral femoral condyle. Signs of mild arhtrosis - small osteophytes on the medial rim of articular surface of the femur and tibia. 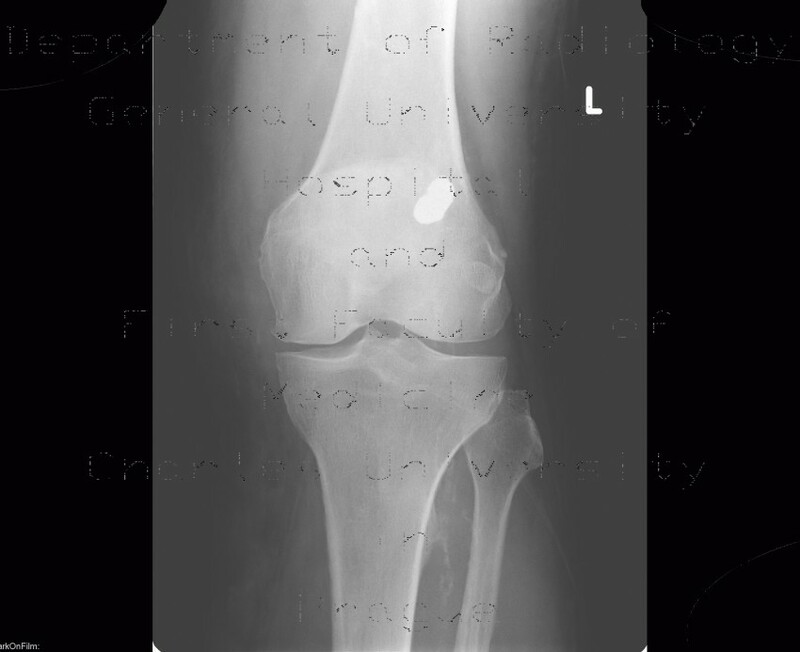 A dense opacity in the distal femoral metaphysis of unknown origin.